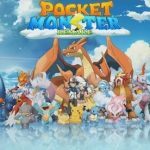 Pocketown MOD APK aka Pocket Town MOD APK from PETYGAME is now on Android. 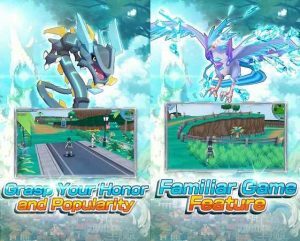 now you have a chance to play with Pokemon Sun and Moon. 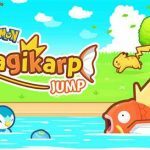 Pokemon Games are in trend since Pokemon Go arrived on Android. Reason? simple its everyone favorite Anime since their childhood time. Pokemon Go introduced Geo based Gameplay system where you have to walk on real roads to find Pokemon based on your locations. 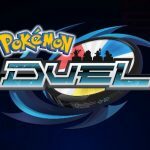 After tremendous hit so many developers attracted towards caching Pokemon Games and meanwhile we got hundreds of monster catching games where your goal is to catch different Pokemon or Monsters and Upgrade or evolve them. Its currently in Beta Version and not available to everyone so Download Pocketown MOD APK VIP MODE and enjoy the game from anywhere. 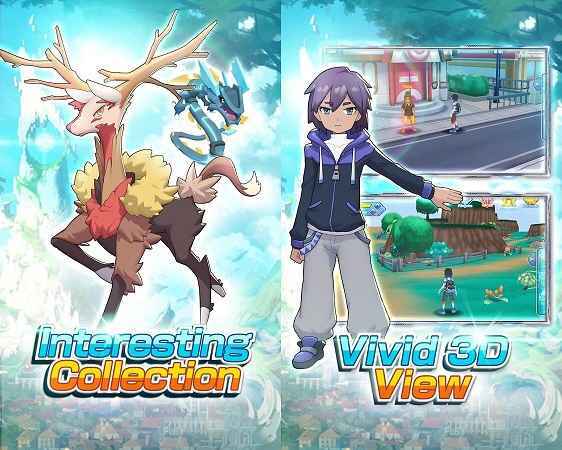 Its an Online Open World Pokemon Game and here its called pocketown. 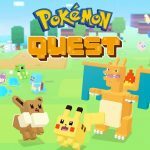 you will be capturing your favorite Pokemon from the Poke Universe and fight with real time players around the world or completing different quests to earn rewards as Coins,Gems or game items like Poke Ball.Its some sort of MMORPG game because of its open world features and quest system. as it names Pocketown is based on pocket Town where you will be roaming on the street with your pokemon and you will encounter real time players as well. In the beginning of Pocketown Android game you will be asked to select servers from different available servers. each server has different configurations and different settings but not major changes. select any new server because in freshly created server you will have more chances to top in the leaderboard. most of servers depends on your location it means nearest server is best for you.since it has real time PVP so high ping can affect your gameplay. Pocket Town Pokemon game is like upgraded version of Pocket monster which were arrived few month ago.but this game has new Pokemons from pokemon sun and moon season.it means you will see old generations and new generations fighting each other. 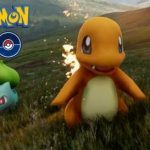 Your Pokemon will be following you in town and there you can check out real time players their profiles and their Pokemons. you can also chat with other players and join them in Pokemon adventure. Storyline is not mandatory when you have great looking game.Here in Pocketown MOD APK you will find no story or deep quest line. all quests seems they are teaching something new because there are so many features which can easily eat hours and hours from your life. Task are given which can be easily tracked by tapping on it so your player will automatically go in that place to complete it. Graphics of Pocketown MOD APK is not that great but its more than good which is enough for the content based game. Roaming on the Town Streets looks amazing and Pokemon animations are top notch. you will be hooked easily in the game. Gameplay wise there is not much to do. in battles there is a turn based combat system where you can use different magic or physical attacks to defeat your opponent. 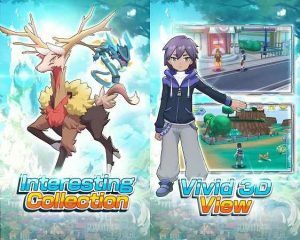 Amazing vivid and colorful graphics with real open world Pokemon capture system will surely win your heart. Simply Install the MODDED APK and Play. At first start game will download few MB of server data then you can enjoy the MOD. I want to know how you install one hit mod in this game? Please replay. Hi Andropalace! I have been using this MOD for almost a month and Im Loving it. It really boost my POKEMON. However, the game just updated to v1.6.0 and cant use this MOD anymore. Hopefully you update the MOD aswell as soon as you possible so I can enjoy the game again. Please send me a message on my email if its already up. THANKYOU SO MUCH ANDROPALACE! can i log in my account from the original apps into this modded game? I dont know whats up but the screen keeps going black after i start the game? can you mod war dragons RG??? thanks for this,.i get trap using high speed auto route,. Hi can you mod gumballs and dungeons? Thank you very much. Hey, is the Mod for the new version available? after the update. VIP working flawlessly, but the 1hit kill just working at thr beginning after tutorial. After you beat NPC 7th or later the 1hit not working for you nor enemy. I hope RG will fix this trouble. Sometimes enemy have 1 hit too, pls fix it or can you add god mode RG? #How do we make wild pokemon weak (to catch them later) if all of them get one-shotted? how to get that ..